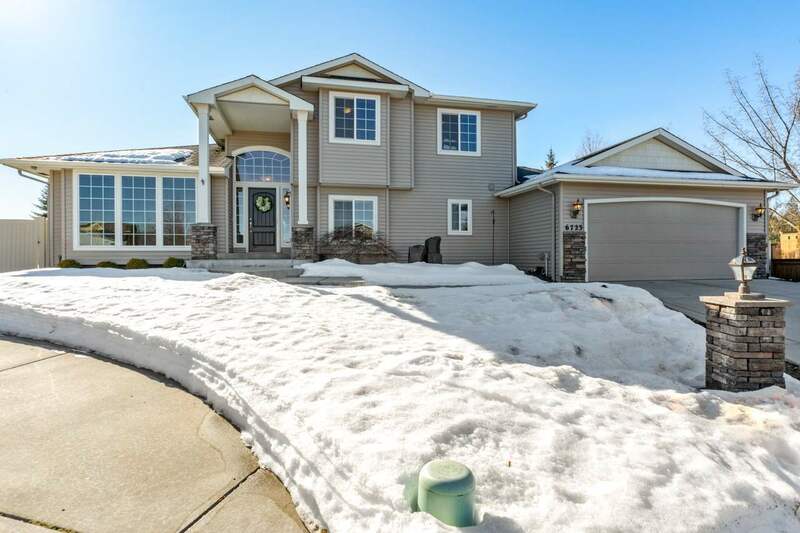 6723 S Baymont Ct, Spokane, WA.| MLS# 201912887 | Cooper Realty Services (509) 599-1111 | Spokane WA Real Estate | Contact us to request more information about our Homes for Sale in the Spokane WA area. Luxurious, 4-level, on a cul-de-sac. Close to nature, hiking & next to a paved trail in highly sought after Eagle Ridge. A true cooks-kitchen; lots of natural light, ample storage & stainless steel appliances. Master suite boasts a walk-in closet & bathroom with double sinks. Finished basement rec-room could provide office space or potential for 5th bedroom. 4 car garage (34x20) you HAVE to see to believe! Fully fenced back yard, sprinkler system, maintenance free vinyl siding and a large composite deck.